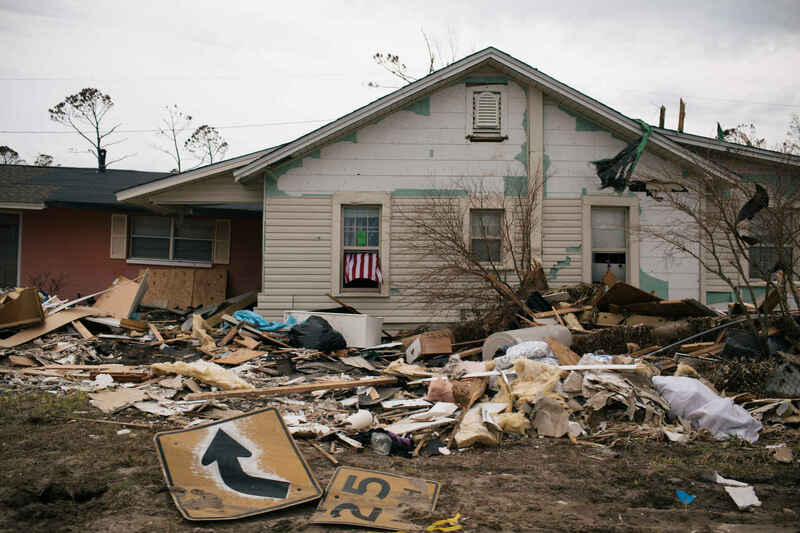 Help provide relief to families and individuals devastated by Hurricane Michael. Be a part of helping those impacted by this storm rebuild their lives. Feeding the Gulf Coast is providing emergency relief to those hit by Hurricane Michael. Feeding the Gulf Coast serves seven counties along the Florida Panhandle, including the hardest hit areas devastated by Hurricane Michael—Panama City and Mexico Beach. This disaster has left families, seniors, children and even babies without food and water to meet their most essential basic needs. As the third strongest storm in history, Hurricane Michael has left unimaginable destruction in its wake. With countless homes, jobs and businesses damaged or destroyed, tens of thousands of individuals are still struggling daily. With your support, Feeding the Gulf Coast tirelessly works to ensure food, water and other necessities are provided to those impacted by this catastrophic storm. To date, Feeding the Gulf Coast has distributed over 1.7 million meals and snacks, along with more than 1.4 million bottles of water in Bay, Calhoun, Gulf, Holmes, Jackson and Washington counties, going beyond our normal service area to serve those communities who need our help. Our staff has been on the ground providing daily relief since the day after Hurricane Michael made landfall and we anticipate providing disaster relief food and support for at least one year. Feeding the Gulf Coast is fully committing our efforts, staff and resources to reach those whose lives have been impacted. Thank you for supporting our disaster relief efforts and providing help and hope to those who need it so desperately. *100% of designated donations will go to towards hunger relief in areas impacted by Hurricane Michael. We anticipate the need will remain at least a year. Once all disaster relief and recovery needs have been met, any remaining donations will be used to fund ongoing disaster relief efforts or will be redirected to where the need for hunger relief is greatest. My daughter lives in Panama City. There are those of us who have not forgotten the devastation and still want to continue to help. I know what a difficult experience this can be for everyone involved. Thanks to Feeding the Gulf Coast for supporting folks in their time of need. I hope this donation can help someone get what they need, thanks be to God.